Commander Hyren knew he at least couldn’t secure the base from here. Suppressing a moan, he moved for the door and it slid open to reveal a darkened, deserted hallway. If engineering wasn’t going to answer, he’d just have to go to them himself. After he collected his weapons and armour from his dormitory, of course. Adrenaline would just have to help him ignore the nausea. “I sure am glad I’m allergic to glowspice, aren’t you?” Hyren froze and turned around. Dothan was trailing him like a hapless baby Nedler. “Just don’t get in my way,” Hyren said. Don’t have enough time to brew your own coffee at home? Consistently disappointed by your vain attempts to recreate your favorite coffee drinks? Need to go on a budget because of all the whipped cream you keep buying for said recreated drinks? I can’t help you with the last thing, because this article is all about how you should spend your money. Specifically, for spending it on coffee. In my neverending quest for that fantastic dark brown bean water we all crave, I thought I would take the time to share with you my picks for the best places to get caffeinated around Neopia. Have you ever looked at a pet, paired with their petpet, and thought "They're perfect together!" only to do it yourself and find that "perfect" match to grow stale in a short time, maybe it just didn't "work" with their character, or maybe you just flat out decided you didn't like it? Ladies and Gentleman, I am here to state loud and clear you are not alone. I have struggled with this for ages (and to some extent I still am!) and have compiled an array of solutions to consider when chasing that dream of getting each and every one of your lovely pets their perfect petpet. Read on and hopefully I can lighten the load, since finding the perfect petpet should be fun not stressful! Is a Mall Right for You? As someone who has never been Neopia’s best gamer, a well-stocked shop has long been my best source of income. While it may seem straightforward, keeping your store well stocked is hardly as simple as it may seem at first. When it comes to your shop, you have so many options, from who to hire as your shopkeeper to how big you want your shop to get. You can even choose a theme for the items that you stock. There is also another option that many may not consider: whether or not to join a mall. It can be a difficult decision to make, so consider these things before committing. Dear Goose, I hope you are well and enjoying your travels in Shenkuu. I heard the weather there in summer is nice and warm. I’m sorry that I haven’t written as often as I promised but I’ve been busy settling into my new home. My initial impressions of it were somewhat mixed but I’ve come to like it since. I’ve always wanted to live in an old, spooky mansion like this. I’m getting inspiration for my mystery novel every hour I spend here. I got rather a shock the first night I came here. You remember how awful the weather was just that evening. After you went off on urgent business, I went down the winding path to the house. I stumbled upon it just as I started to worry I had taken a wrong turn somewhere. I pushed open the gate with a tremendous creak and walked up the decrepit path to the house. Lighting flashed as I reached the door and I saw this great, bulky outline of the house looming over me. It looked like it could topple over at any minute. I almost turned back but by then I had already knocked on the door and it seemed impolite to retreat just then. I shouldn’t have worried for no one came to the door. I leaned up against it to listen for any footsteps. 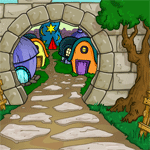 It was busy, bustling day in Neopia Central. Everywhere you looked, neopets and their petpets, dressed in their finest clothing, were enjoying themselves, most laden down with shopping bags, most laughing or smiling. "I wish WE could afford to go shopping," a small Altachuck said dreamily. The Altachuck's owner, a Vandagyre called SailorLee, smiled fondly down at her beloved petpet. "Oh, Lunch," she replied, "you wouldn't like shopping, you're far too timid for those busy shops. Look at how everyone is pushing past one another, just to get the most expensive things on sale! No, you wouldn't like it one bit." They were sitting on the grass by the fountain of the Neopian Neolodge. A crowd had formed outside the nearby post office. Someone cried, "I hear they're restocking the Court Dancer stamp!" Another exclaimed, "That stamp is worth nearly two million neopoints!" "Move out of the way! I need that stamp!" a third boomed. The post office doors swung open, and the timid Altachuck's eyes widened in both fear and nervous excitement as the crowd stampeded forward amid squeals and shouts and cheers. Lilly the Ixi grew up as a wealthy pet. 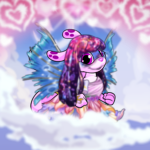 She always had the most expensive customizations, her stats were always on top and she had her wings professionally groomed so that they'd glisten as she flew across Neopia. Even the Faeries were jealous of her beauty. Although she was really wealthy, Lilly still had to attend the only school in Neopia. She'd prefer a private school, but Lilly had to admit that she didn't mind all eyes being on her every day. However, she wanted and insisted that no other pet sit beside her. One day as Lilly flew into class and took her seat, she noticed the seat beside her had been occupied and their eyes was staring at her. "Ugh, what are you doing in that seat? No one is to sit there. No one has ever sat there before. Take a picture it will last a lot longer, but I will have to charge you for it!" Lilly exclaimed as she took out her mirror to glance at herself. The pet sitting beside her simply dropped their head and stared at the desk. Lilly took a closer look at the pet and noticed it was a female Blumaroo. Her clothes and hooded robe was tattered, and she looked as though she visited the Soup Kitchen often. The Blumaroo looked different than the other pets in school. Her fur looked nice but the clothes was a totally different story. They looked like she had got them from the money tree. Come Accept a Quest, Won't You? There is also another option that many may not consider: whether or not to join a mall. It can be a difficult decision to make, so consider these things before committing. Balloons! That could certainly make a party pop! Have you ever looked at a pet, paired with their petpet, and thought "They're perfect together!" only to do it yourself and find that "perfect" match to grow stale in a short time, maybe it just didn't "work" with their character, or maybe you just flat out decided you didn't like it? Ladies and Gentleman, I am here to state loud and clear you are not alone. The true face of jellybeans. Chloe breathed deeply the morning air as she closed the front door behind herself. It was a glorious late spring morning and the air was fragrant and warm, with just a slight tinge of humidity. She walked down the front path to the sidewalk. As she reached the final step, she was cut off by one her sisters hopping through the shrubs lining the walkway.